Over 100,000 diverse Coloradans grace the energetic city of Boulder. This college town is host to some of the best food, entertainment, and culture in our great state. 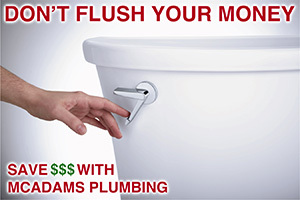 McAdams Plumbing is your first choice for plumbing repair in Boulder. 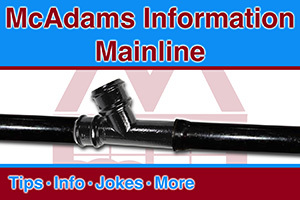 Let’s take a look at the services McAdams Plumbing can offer our Boulder friends. If your issue is not covered on this list, it does not mean we can’t fix it. Just give us a call and let us know what you’re dealing with. If it’s something we don’t do, we’ll get you to the right person who does. We know how devastating water damage can be to a home. We also know that sometimes the hunt for a leak can cause damage on its own. That’s why our trained professionals at McAdams Plumbing will do everything they can to find your leak before opening walls. Sometimes this can not be avoided, but we always keep as minimal as possible. One of the best ways to avoid paying to fix the damage that a water leak has caused is by installing a WaterCop Automatic Water Shut-Off valve in your home. Installed on your main incoming water line, the WaterCop unit receives a signal from sensors placed around your home when water comes in contact with them. This signal shuts down all the incoming water on your home. Pretty cool right? Also, many home insurance companies offer discounts for WaterCop installation, so make sure you contact your agent to find out if you qualify. Thanks for your interest in our company. Be sure to take a moment to read some customer reviews or watch a video testimonial to see how other people feel about our service. We’ll be here when you need us!